It’s hard to shop for the man who has everything. That’s why it’s a good idea to keep your customers away from Lowe’s gift cards and get them in to YOUR store. “And how do I do that?” you ask. It’s easy! 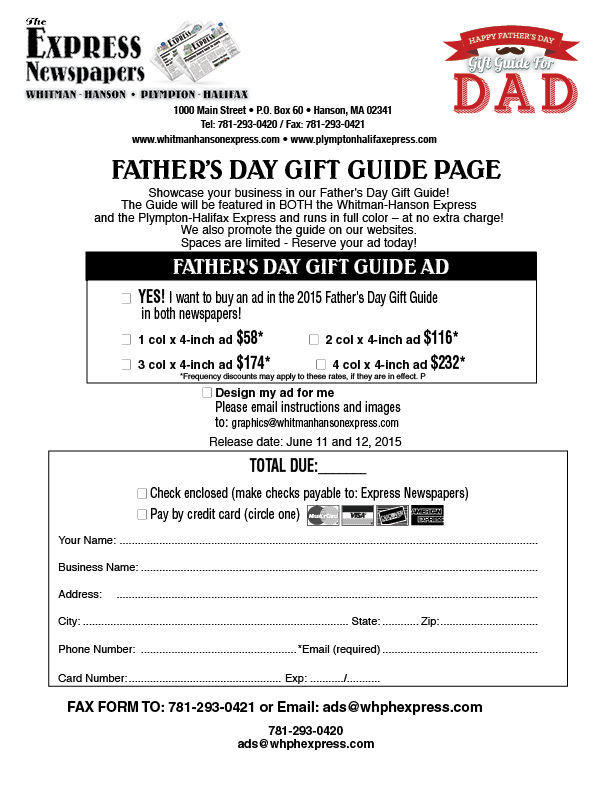 You advertise in the Express Father’s Day Gift Guide! 1. You’ll be featured in BOTH of our newspapers. Our Gift Guide runs in dazzling full-color in BOTH the Whitman-Hanson Express and the Plympton-Halifax Express. That’s a readership of over 3,000 subscribers right in your backyard. 2. You’ll be promoted on our Social Media! Our Facebook pages have over 1,000 viewers. Our “Share and Like” campaigns have the ability to double your exposure to LOCAL customers. Think of it… all that social media working for you for free! 3. You’ll be featured on our web sites. We get over 100 live clicks every time we release our weekly newspapers. We offer LIVE LINKS to your site from our Gift Guide. See? The advertisement opportunities just keep on growing! All of this for as little as $58. I encourage you to check our competitors’ prices. NO ONE has the package we offer at the rates we have. NO ONE. 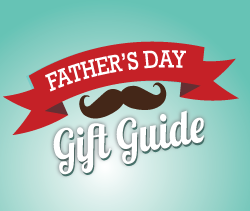 Our Gift Guide’s release date is June 11. I don’t have to remind you that the space is limited, and Father’s Day is right around the corner. Call 781-293-0420 or email today!